That’s interesting. I wonder if that is by design or just a case of similar keys fitting different locks. My Corbin seat key will fit my ignition (won’t turn), but my ignition key doesn’t fit my seat. I’m away from my bike right now so I can’t get a look at that. My key blank catalog doesn’t have either the Union FS or Neiman blanks so I can’t cross reference the blanks. I know when I made copies I had to source the blanks and cut them myself. Ignition switch is the standard Lucas 4-way used from 1971 on. Both MkIII's I have owned used the standard square Union key. Neither bike had the MkIII seat so I can't comment on seat key. Fork lock, seat, ignition, Corbin seat. Ignition and seat are FSxxx, same blank with different head style. Corbin seat key (copy of original on a IN8 blank) is very similar to the FS blanks but has slightly wider side milling and is thicker so it is a hit or miss as a replacement blank. Fork key is completely different. 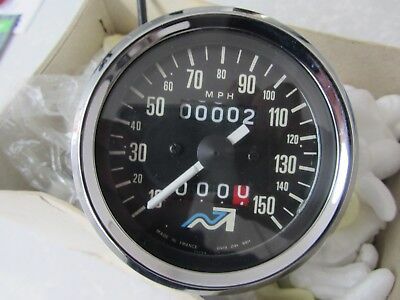 I am trying to add up all the normal wattage required to run MkIII on the street in daylight with lights, turn signals, ignition, etc, and what wattage is left to run my Norton shaver while riding.......or maybe heated gear instead. System voltage: 12 volt - Positive earth Alternator type: RM23: 180 watts. Rectifier type: 2DV. 406. Zener diode type: Z D 715. 2 OFF. Battery type: Norton Villiers 066515; Yuasa YB.14.l or B.64.12. 12 volt. Battery rating: 13AH at 10 hour rate. Coil type: 17M6 - 2 OFF. Ballast resistor type: 3 BA. Direction indicator flasher unit type: 8 FL. Starter Motor: Prestolite MGD.4111. Solenoid for Starter: Prestolite SAZ 420lN. Brake light switch: 2SH. 2 OFF. Condenser Pack: Lucas 2CP. Master Switch: Lucas 149SA. standard: Lucas 30825( Canada only) Lock Master Switch: Wilmot Breedon 1/6545. Headlight: STD Type 370 - 12 volt - 45/40 watt. Continental Type 410 - 12 volt 45/40 watt. France Type 411 - 12 volt - 45/40 watt. Headlamp Bulb: STD Type 463 - 12 volt - 60/55 watt. Continental Type 472 12 volt - 60/55 watt. Maker: Pistor & Kronert. Complete Replacement Unit. Blue: 06·5736 Type P & K 1208/6CR A 1/1 N.
Is there a pictorial reference for the Smiths/Veglia instruments used on a MkIII? What is the Smiths/Veglia part number for each of these instruments? Are these exact instruments used for other marques/models? earlier Nortons? I run a heated vest quite often. With lights on as well, the rm23 keeps up nicely at normal road speeds. Smiths = As brochure pictures. The 'NVT' (or 'NT') marked instruments were introduced for 1975, so basically used on the 850 Mk3 but perhaps could have been fitted to some late Mk2/2As? 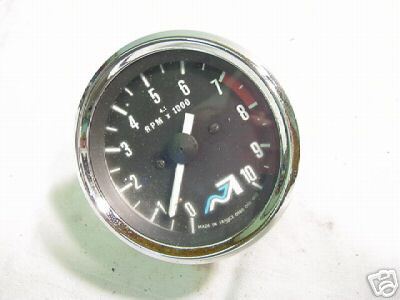 Smiths NVT instruments were fitted to T160s (and perhaps some late NVT T150s) and 1975-77 Meriden co-op T140s/TR7RVs but not necessarily the exact same instruments as the 850 Mk3. Meriden co-op also began fitting batches of T140s/TR7RVs with Veglias during '78 but not 'NVT' marked items (as NVT had gone bust by then). I added the Veglia and Smiths part number to my ref sheet. I don't seem to have good photos of the Veglia NVT speedo and tach. I remember a statement that the NVT Veglia were used on MkIII Interstate models and Smiths on Roadster and I wanted some understanding on that. Interstate and Roadster built on different production lines? here is what appears to be the correct Veglia tach face, but it is a reproduction. I am requesting photos of a complete Veglia instrument, used if possible. This added cut off valve, spring and plunger, is supposed to stop crank case sumping? Is this a reliable valve in the Mk3 engine? It has been problem free in my MK3. Wetsumping is not a problem on that bike as long as it is run every two months or so, very easy to live with. It should slow it down but it won't necessarily stop it completely as the oil can still drain along the pump shaft. Others have said that it can jam in the open position but I haven't known it to happen. I am observing a Mk3 engine, disassembled right now, and this Mk3 does not have a spring or plunger. Is missing these pieces not a good thing for a Mk3? low pressure to somewhere? Is missing these pieces not a good thing for a Mk3? Personally, I would prefer to have the plunger installed. I would expect there to be a small amount of leakage from the plunger vent without the plunger in place but whether that reduces (hot?) oil pressure by any significant amount I couldn't say. Make sure it's not pushed all the way in and it just looks like it's not there. The spring is small and plunger can get stuck. Spray some PB blaster in there and see if it doesn't pop out. Yep, what brokeneagle said. Compressed air will work too, just be careful the piston will take off like a bullet. Cover it with a rag. 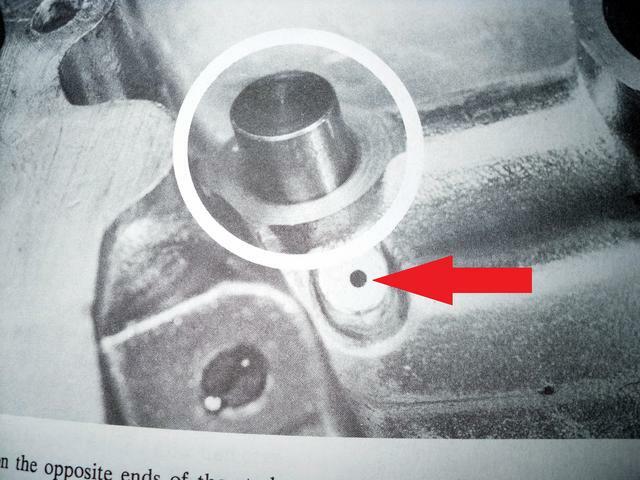 The anti-wet sump piston was stuck open every time I removed the timing cover (3-4 times) on the MkIII I had. Replaced the spring, polished the piston, honed the bore, nothing had any effect. What are the dimensions for the rear suspension units on a MK3 and where are these dimensions referenced? no data at all in this manual for dimensions other than Section F with bushing dimensions.